Kelly Mason Smith (photograph by Amanda Sledge. © 2014). 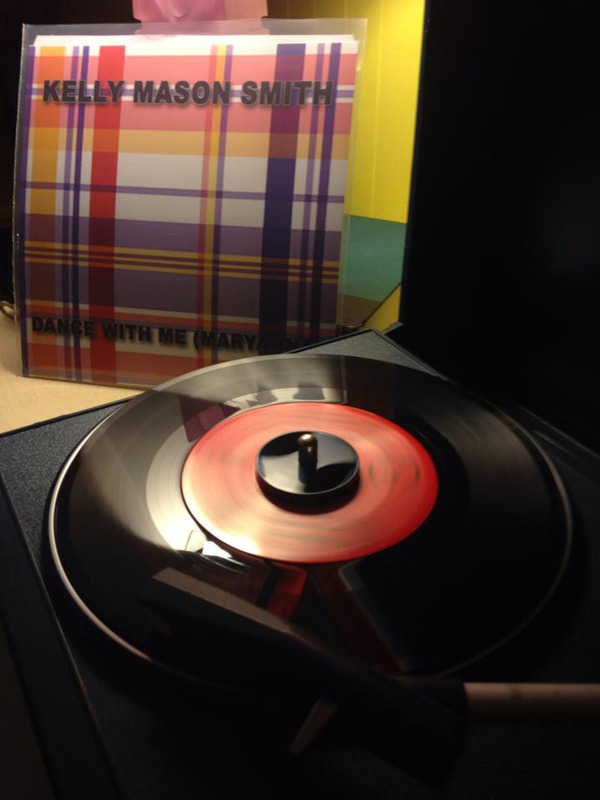 “Dance With Me (Maryanna),” the A-side of the new 7-inch vinyl single from Kelly Mason Smith, produced by Tom Schreck (photograph by Alexandra Harned. © 2014). 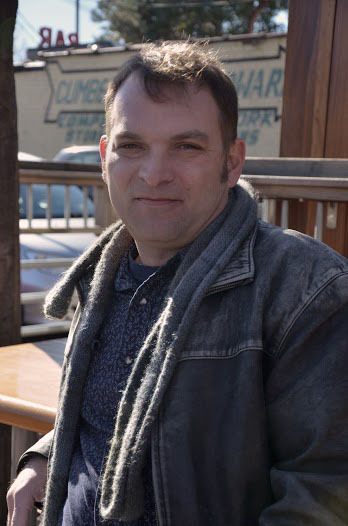 NASHVILLE, TN, November 20, 2014 — Singer-songwriter, recording artist and North Carolina native son Kelly Mason Smith, in collaboration with producer Tom Schreck and Nashville Outsider Music, announces the release of a new vinyl 7-inch 45 rpm single, comprising the songs "Dance With Me (Maryanna)" and "Coming Home to You." "Dance with Me (Maryanna)" was composed in 2013 by Smith and co-writer Adam Stone, while the writing of "Coming Home to You" dates back to Smith's time serving in the U.S. Army in the early 1990s. Both tracks were recorded in Smith and Schreck's adopted home of Nashville over the course of 2013-14 sessions with engineer Jason Hall. The record is currently available for sale at The Groove Nashville (1103 Calvin Ave, Nashville, TN 37206), Schoolkid Records (2237 Avent Ferry Rd #101, Raleigh, NC 27606), and Fat Cat Music and Sound (3513 Airport Boulevard Northwest, Wilson, NC 27896), and it will be available for sale at a special record release concert, November 24, 2014, at The Building in East Nashville’s Five Points District (1008 Woodland St, Nashville, TN 37206; doors open at 7:00 p.m.). The release is boldly and confidently backward-looking in several regards. "Dance With Me (Maryanna)," although a relatively new composition, draws upon the classic Carolina Beach Music genre that has been a favorite of Smith's since his youth. "Coming Home to You," a standard in Smith's catalog since its first incarnation two decades ago, is stirringly autobiographical; written during Smith's tour in the Desert Storm campaign, the song recalls a heartfelt letter or phone call home from a soldier overseas, pleading and promising to return safely to loved ones. The cover art reflects the two songs' respective moods: on the A-side, a Madras pattern, as used for many a garment worn on crowded Carolina pier dancefloors over the years, and on the B-side, the current camouflage pattern employed by U.S. servicemen in combat. Both songs spring to life on vinyl, a format once dismissed as obsolete but now enjoying a comeback as it is hailed by audiophiles, collectors and casual fans alike as a richer, more evocative listening experience than digital media. This is the first appearance on vinyl for both Smith and Schreck. The songs benefit from the sympathetic, subtle touches of Schreck's production and arrangements. Intricate percussion and soaring horns set the groove and punctuate "Dance with Me (Maryanna)," while gentle strings, accordion and martial drums give "Coming Home to You" a wistful, timeless energy. Smith's one-of-a-kind voice -- a masterfully deep, resonant instrument, at times both world-weary and jocular -- is given plenty of room to shine. The songs are also currently available for free streaming on SoundCloud (https://soundcloud.com/kelly-mason-smith), but this online version is sourced from the original digital master rather than the analog master used to cut the vinyl. "The two masters actually sound very different," notes Smith. "For online streaming, the digital master does its job well. But the level of nuance in the vinyl master is readily apparent when you put the platter on. I encourage everybody to listen to both!" Smith continues, "I couldn't be happier to give these songs to the world. 'Coming Home to You' has been close to my heart for many years, but I had never captured a recording that got to the essence of the song before this version, which I consider definitive. And 'Dance with Me' is a newer song that I'm very proud of; I'm happy to be able to give a nod to my North Carolina roots with a danceable beach-music song. Working with Tom has been rewarding -- although we are close friends, the recording process here was sometimes challenging as we didn't see eye-to-eye. But we powered through and together came up with two cuts that stand among my best work. I can't wait for what's next." For more information, visit www.facebook.com/kelly.m.smith.5686, or contact Smith directly at kellymasonsmith76@gmail.com, or Schreck at tom@nashvilleoutsider.com. Photo Caption 1: Kelly Mason Smith (photograph by Amanda Sledge. © 2014). Photo Caption 2: “Dance With Me (Maryanna),” the A-side of the new 7-inch vinyl single from Kelly Mason Smith, produced by Tom Schreck (photograph by Alexandra Harned. © 2014).